Yes Raiders fans – it’s been 365 days since your football team has won a game that wasn’t a preseason contest. The date, Sunday, November 17th 2013, as the Raiders, led by rookie QB Matt McGloin defeated the Houston Texans 28-23 in Houston. It would be the last win for former coach Dennis Allen, as he watched the undrafted free agent threw three touchdown passes in his first NFL start. The win actually extended Houston’s franchise-record skid to eight games, little did people know it would start a streak for the Raiders that has extended 365 days with Sunday’s 13-6 setback to the Chargers. Since then, it’s been a steady stream of losing, with no end in sight. 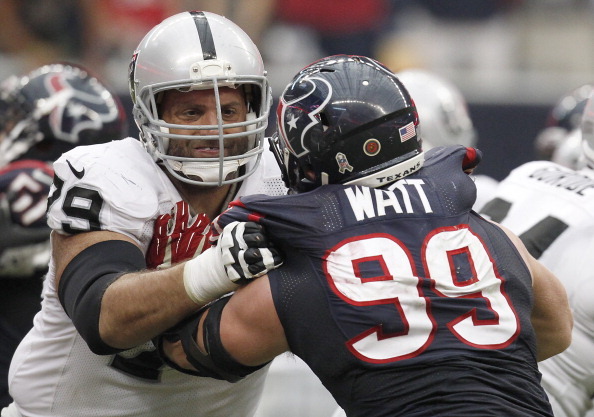 The last time the #Raiders won a game was one year ago today at the #Texans. I have been pounding on the Raider Management to put McGloin in. First off he knows the whole play book and the whole offense and has more experience than Carr. With Carr, it has been run up the middle, run up the middle, pass= 3 and out over and over and over. All I can say is, being a Raiders fan has been the painful experience of my life.